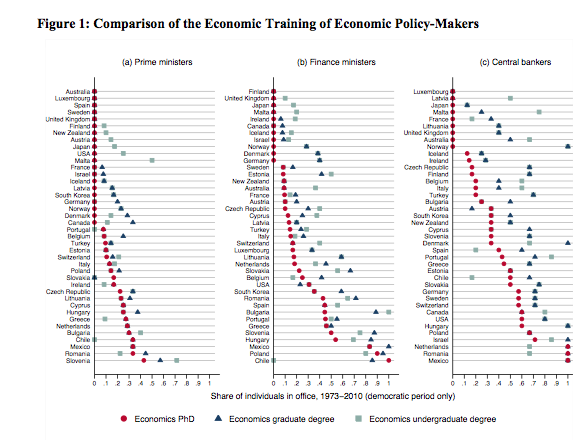 Other findings include the sensible one that finance ministers and central bank heads appointed during financial crises are more likely to have technical competence and that left-wing governments are especially more likely to appoint economists during crises. Check out the full paper for details. Note: VotD stands for “Visualization of the Day,” and may become a recurring (though certainly not daily) feature.